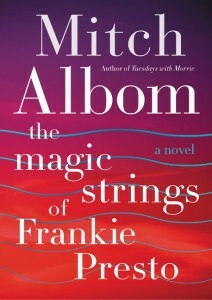 Mitch Albom creates his most unforgettable character—Frankie Presto, the greatest guitarist ever to walk the earth—in this magical novel about the power of talent to change our lives. But Frankie’s talent is touched by the gods, and it weaves him through the musical landscape of the twentieth century, from classical to jazz to rock and roll. Along the way, Frankie influences many artists: he translates for Django Reinhardt, advises Little Richard, backs up Elvis Presley, and counsels Hank Williams. Frankie elevates to a rock star himself, yet his gift becomes his burden, as he realizes that he can actually affect people’s futures: his guitar strings turn blue whenever a life is altered. Overwhelmed by life, loss, and this power, he disappears for years, only to reemerge in a spectacular and mysterious farewell. With its Forrest Gump–like journey through the music world, The Magic Strings of Frankie Presto is a classic in the making. 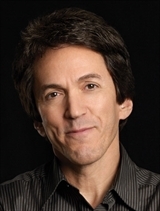 A lifelong musician himself, Mitch Albom delivers an unforgettable story. “Everyone joins a band in this life,” he observes, be it through music, family, friends, or lovers. And those connections change the world. Find out more about Mitch at his website, connect with him on Facebook, follow him on Twitter, and sign up for his newsletter. The first thing that really grabbed me about The Magic Strings of Frankie Presto was that the narrator of the opening chapter was Music itself. 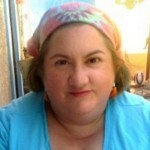 Not quite Music personified, but definitely Music as a sentient being. As a musician myself (cello, singing, learning guitar), as well as the daughter of a woman whom Music passed by, this narrative choice made a lot of sense to me, and I would have been incredibly happy if the whole novel had been narrated by Music. As the supporting characters worked their way in, however, and their voices strengthened, my initial rush of interest wore off. Don’t get me wrong, Magic Strings is eminently readable, but it seems a lot like, aside from Music, the author didn’t really have a strong sense of his characters. Nevertheless, I really enjoyed the story. Mitch Albom made the inclusion of real people practically seamlessly (the description compares the novel to Forest Gump in that respect, but people have been doing such things for ages). It always makes me grin when authors can do that without it feeling disruptive or gimmicky, but since the epynomous (if fictional) Frankie Presto is a contemporary of people like Elvis, it makes sense to use that storytelling device. It drives me crazy when novelists set their stories in contemporary or recently historical periods and then pretend none of the pop culture we all know ever existed. I loved that Frankie had a miles-long birth name that demonstrated his Spanish roots, and that he came to see his musical gift (both the actual playing, and the secondary gift of the blue strings on his guitar and their special power) as both a blessing and a curse, because even those of us who are strictly amateurs often feel that way, even without magic. I liked that the simple language Albom tends to use was both really natural, but that he also gave it a rhythm that felt like someone strumming a guitar. Since my only previous exposure to Albom’s work was is memoir Tuesdays with Morrie, which I loved, I was worried that his fiction voice wouldn’t be as engaging. I was wrong, though I will caution that this book isn’t an action novel or a romance. Instead it’s a gentle, quirky story about a man, a guitar with magic strings, and the sometimes-fickle mistress/muse/calling that is Music. Goes well with tapas and craft-brewed beer. Wednesday, September 30th: Dreams, Etc.